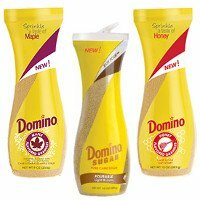 Your favorite brown sugar now sprinkles and flows right out so you can add a sweet crunch to favorite breakfast foods, fruits or baked goods. This free-flowing crystal version of the classic Light Brown Sugar does not clump, cake or harden. And the pourable brown sugar is also handy for baking.